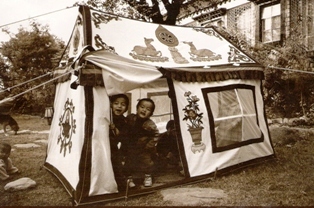 Tibetan Art & Culture, Enjoy Tibetan Lhamo Opera & Dance, Kangra & Thangka Paintings.. Meet Artists !! Tibetan Art and Kangra Hill Crafts..God the Teacher ! Buddha an Inspiration !! I was was once asked over breakfast, by one of my Latin American guests...Why is the Taj Mahal in India ?? Were there special Indian Gods & Goddesses for Love?! The romance of Radha-Krishna depicts..the spiritual yearning of the Heart and the Soul in the bliss of Eternal Love.. in all its splendour, passion and joy! The many ancient art forms and classical lyrics of India have for centuries celebrated the essence of this legendary 'Love' in all their Creations!! The Passion of the 'Pahari Badshah..! Maharaja Sansar Chandra( 1775-1823 AD)..a powerful Pahari Ruler was the master of 27,000 square miles of the Indian subcontinent. This was the 'Golden ERA' of Kangra where the mighty Hills witnessed a stream of painters, artisans, craftsmen, dancers, musicians and carpet makers who flocked into his court...thus was born the 'Chattis Karkhanas' , 36 factories which produced Hill handicrafts, jewellery...the most famous was the Internationally famed..The Kangra School of Miniature Paintings ! This passion grew with the Maharaja's Love for a common Gaddi Hill Shepherdess ! 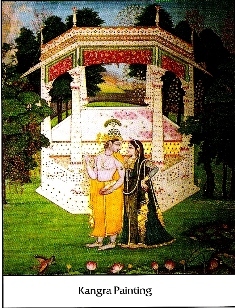 The most famous Kangra Miniatures, is the 'Bara-Masa' series (The Twelve Months series)...which depicts Love in all its seasons of Joy, Longing and Desire ! Ancient Himachal Doll-Making & Kangra Bamboo Basket-Making...A Traditional Art of the India Himalayas ! 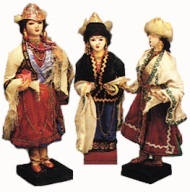 **In both Tibet Art and Hill crafts, Doll-making is a popular tradition, mirroring the colourful costumes and life-style of the Mountain people in their daily lives. **Bamboo weaving in the Himalayan villages, is a traditional art which provides income for the poor artists. Natural bamboo waste is used..the products are eco-friendly and would please any interior designer searching for a 'green' look ! Wrap yourself in the warmth of Himachal Pradesh..! 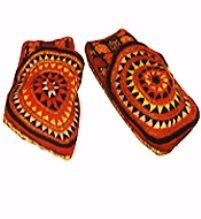 The chill of the cold Himalayas during winter has, inspired intricate hand spun woollen designs and motifs in Himalayan weaves and Tibetan art. Beautiful Himachali and Pashmina Shawls, cozy rug & carpets decorate every home and are a proud possession of every mountain folk in Dharamsala, India. Warm your feet..with Eco-friendly Botties(Footwear)..! Keep the dirt away..In every Himalayan home there is a shoe-rack on the outside porch where the walking shoes are kept. Inside you can walk on the warm home carpets wearing these exquisite colourful unique hand spun 'Booties' made out of dried Himalayan grass and left over wool. The Famous Himachali Topi (Cap)..! 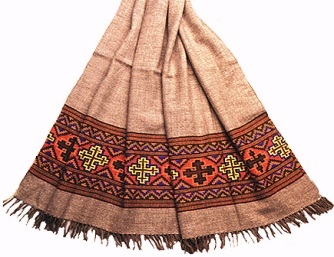 The pride of Himachal, intricately embroidered motifs in hand spun yarns emboss Himalayan textiles and Tibetan art. 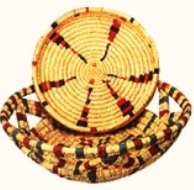 The ancient traditions of wearing such caps were a prominent feature during various religious ceremonies, festivals and feasts. Ancient Himalayan Jewellery...A gift for your Dear One! In almost every Himalayan Tale of Folk romance..the gift of ornamental silver jewellery is considered as 'A token of Love for the Beloved! 'Tibetan Art designs and Himachali stone-studded silver wear is an ancient tradition for young village belles to highlight their beauty, during fairs and festivals where young gallants collect to court them. The jewellery is very colourful and trendy today. The Craft of the Gods..! 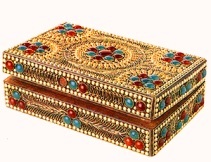 This ancient craft of the mountains in Himachali & Tibet Art touches the excellence of devotion in various embellished pieces of Art, divine statues in metal and woodcraft. 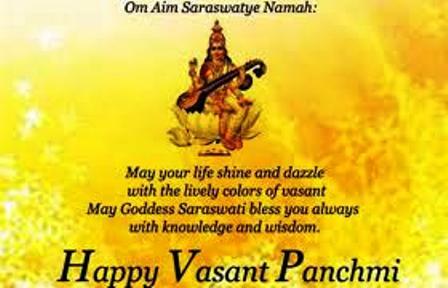 'Goddess Saraswati'...The divine Goddess of Knowledge & all Creative Art has been manifested and revered over centuries,as a female deity playing the classical musical instrument,'Veena'! 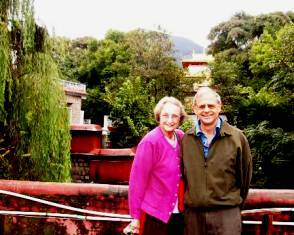 John & Nancy Colbert in Norbulingka (Guest of Vidya Niwas) California, USA..September, 2007. "...We received a very warm welcome by Arvind and Sangeeta in this beautiful home and valley. The room was artistic, cozy and unique. 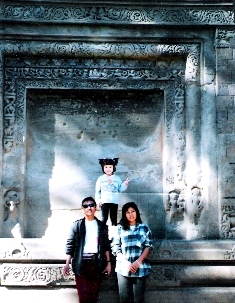 We enjoyed our trip..staying with a family is a privilege and a pleasure !" Many visitors to Dharamsala, India have enjoyed immensely the Tibetan Art and the Himalayan culture in home stays, Norbulingka Institute and the various Museums ! "..I had a wonderful time experiencing the Culture, Tibetan Art and the scenic beauty of the area..My stay was fabulous at your Mountain home..the food was great and you made my stay a wonderful one." - Mr Renton Huff, USA. 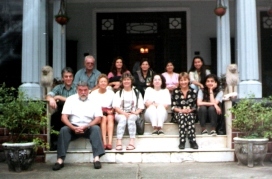 August, 2005 (Guest of Vidya Niwas). 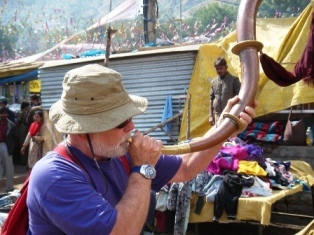 * Guests visiting Dharamsala, India have enjoyed the beautiful Tibetan Culture and the Himalayan Art & Craft. The Folk music and dance of Kangra Valley with the traditional drums (Tamak) and trumpets along with the vibrant colours of Tibetan Opera has added a passion and jest for travel in the ancient valleys of Himachal Pradesh, India. 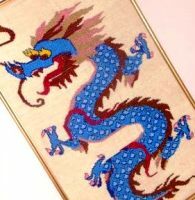 Applique & Tailoring is an ancient Tibet Art form..! 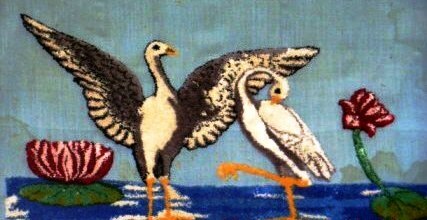 This fine tradition particularly popular in the 19th century in Tibet..saw the production of 'kyigus'..all displaying exquisite hand work in many forms and motifs ! 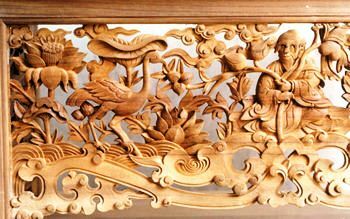 **'Statue-making', 'Wood carving' and the famous 'Thangka Painting' all are the immortal skills of the Human hand in Tibetan Art! In Dharamshala, India...the Dalai Lama's abode, The Norbulingka Institute of Tibet Art & Craft is a Center for Conservation of Tibetan Culture. 'Vidya Niwas'..the Himalayan Retreat in Kandi Village, Dharamsala, depicts in its culture rooms, the history and culture of this Himalayan belt. 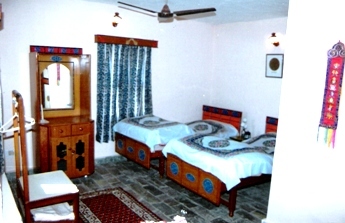 Stay with us at Vidya Niwas..A Himalayan Home..Click here ! "Living in the Ambience of Himalayan Culture..!" "..We had a wonderful time staying in the peace of Buddha and learning about the Tibetan Art and Culture...we specially liked the Tibetan food and 'Himachali Cap' !!" ..Mr Jurgen Schick, Tour Leader - STUDIOSUS REISEN, Germany.
" All that is Immortal in Time is...ART ! "Discover ,Tibetan Art ..Dalai Lama, Dharma.